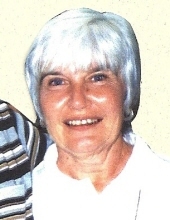 Mary Lou Park, age 74 of Seymour and formerly of Valencia, California, passed away on Sunday, January 27, 2019 at Seymour Crossing. Born November 30, 1944 in Muskegon, MI, she was the daughter of Milton and Mary Lou (Climber) Christiansen. On December 29, 2001, she married the love of her life and soulmate, Larry Park. As a kid, she loved running along railroad tracks and trains yelling for chalk. Mary Lou graduated from Muskegon High School where she was a Majorette and Baton Twirler. She then went on to graduate from Michigan Business College. She worked for State of Michigan, a neurologist, Signal Landmark, Xerox and worked in administration at Merced County, CA HVD. Mary Lou enjoyed ice skating, roller skating, bowling, photography, scrapbooking, greeting cards, traveling the US, collecting cookbooks and reading mysteries. She was also a frequent QVC shopper. Survivors include her husband, Larry; children, Kevin (Dena) Adkins, Marcheta (Brad) Allen, Ronald “Buddy” (Kate) Adkins, Timothy Thomas (Jen) Park and Bonnie Jean (Efrain) Contreras. Mary Lou also had two siblings, Robert Paul Christiansen and Judy Christiansen as well as 14 grandchildren. Mary Lou was preceded in death by her parents, first husband, Ron Adkins and second husband, Louis Trueblood. To send flowers or a remembrance gift to the family of Mary Lou Park, please visit our Tribute Store. "Email Address" would like to share the life celebration of Mary Lou Park. Click on the "link" to go to share a favorite memory or leave a condolence message for the family.